The Museum of Flight is proud to participate in Museum Store Sunday, an international event launched by the Museum Store Association, as the annual day to shop conscientiously and support museum stores and their missions worldwide. Holiday shoppers will not only be able to find quality gifts filled with inspiration and educational value but, through their purchases, will support museums and cultural institutions, enabling ongoing and future appreciation and knowledge. The products available at museum stores have been carefully curated to reflect the individual qualities and personalities of the institutions. 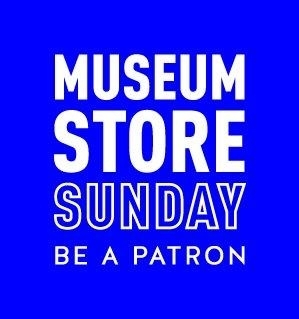 Museum Store Sunday will offer consumers and patrons singular retail experiences that cannot be replicated in a shopping mall or other conventional retail settings. There is something to be found for everyone while perusing a museum store and its offerings and the shopping also encourages purchases that tangibly extend educational programs and visitor outreach and services. Join us on November 25th for our second Museum Store Sunday event. At our store we will be offering free gift wrapping, product demos, and a 25% discount on purchases for all members as well as 25% off new and renewing memberships. Discounts are for in-store purchases only, so please come say hello!